PT Angkasa Pura Retail - PT APR or widely known as "Angkasa Pura Retail" is a rapidly expanding retail and trading company in Indonesia. Angkasa Pura Retail has core business focus on retail (duty paid and duty free), food and beverage (F&B), marketing communication service, and commercial marketing. PT Angkasa Pura Retail is a retail business subdsidiary company of state-owned airport operator PT Angkasa Pura I (Persero) or Angkasapura Airports Group (AP I Group). PT Angkasa Pura Retail is 97.50% owned by Angkasapura Airports Group and 2.50% by Pusat Koperasi Karyawan PT Angkasa Pura I (Persero). PT Angkasa Pura Retail was formed by Angkasa Pura Group in October 2014 to boost its parent income, especially from non-aeronautical revenue. Angkasa Pura Retail is based in Jakarta and its head office is located at Villa Kemayoran, Jl Merpati 2, Blok C, No 50 Kemayoran Jakarta. 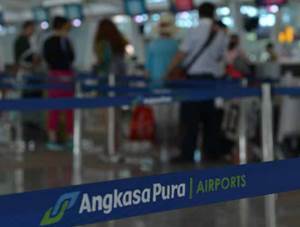 In 2015, the performance of Angkasa Pura Retail is showing good results. According to PT Angkasa Pura I (Persero) Annual Report 2015 as cited by JobsCDC.com, Angkasa Pura Retail booked total assets of Rp 57.96 billion in 2015. That number is up 16.92% year-on-year from Rp 49.57 billion in 2014. Total revenue in 2015 was recorder at Rp 22.12 billion as compared with Rp 1.11 billion in 2014. Minimum Diploma or Bachelor Degree (D3/S1) in any field. Minimum 1 year of experience in the related field, preferably staff specializing in Clerical/Administrative Support or equivalent. Strong skills in Mathematical Calculation, Analysis of Variance, Statistical Data Analysis. Minimum Diploma or Bachelor Degree (D3/S1) in Accounting, Economics, Taxation. Minimum 1 year of experience in the field of treasury. Previous experience in the field of retail. Strong understanding of financial process flow. Strong understanding of journaling and accounting records. Minimum Diploma or Bachelor Degree (D3/S1) in Human Resource Management, Business Studies, Administration, Management, Law, Psychology or equivalent. Minimum 2 years of experience in the related field, preferably staff specializing in Human Resources or equivalent. Strong skills in Payroll administration, administration and secretarial duties, employee and labor relations, analytical. JobsCDC.com now available on android device. Download now on Google Play here. Please be aware of recruitment fraud. The entire stage of this selection process is free of charge. PT Angkasa Pura Retail - Operational Staff, Treasury Staff, HR Staff AP I Group December 2016 will never ask for fees or upfront payments for any purposes during the recruitment process such as transportation and accommodation.